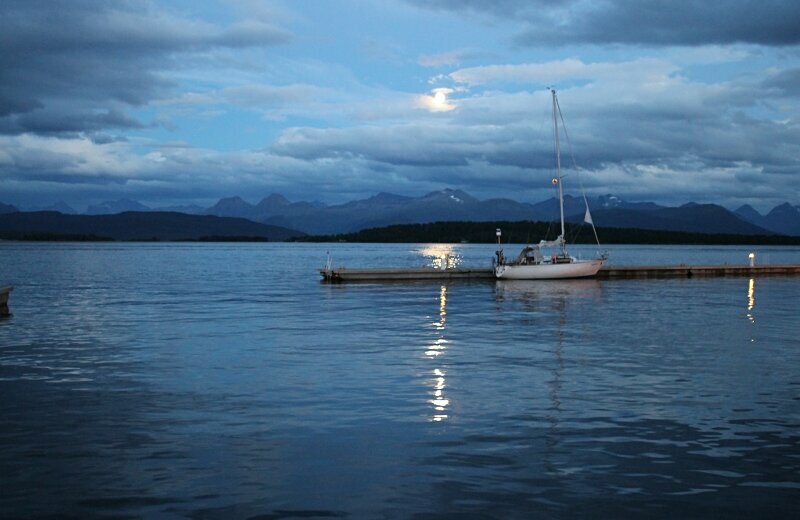 The fourth day of the journey is coming to an end and at dusk we drive up to the city of Molde, where we have planned the night. 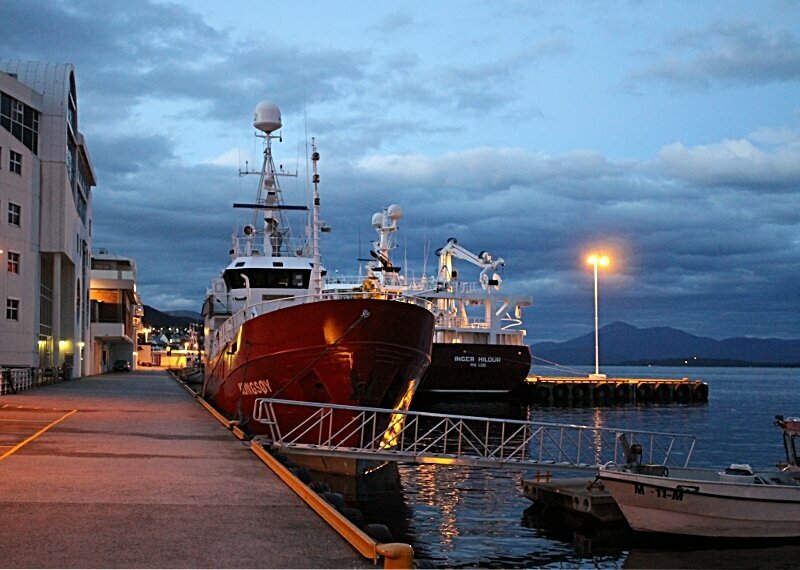 At the entrance from the North is clearly visible cruise port, where in the evening you can catch one of the ships of the Hurtigruten regular line. 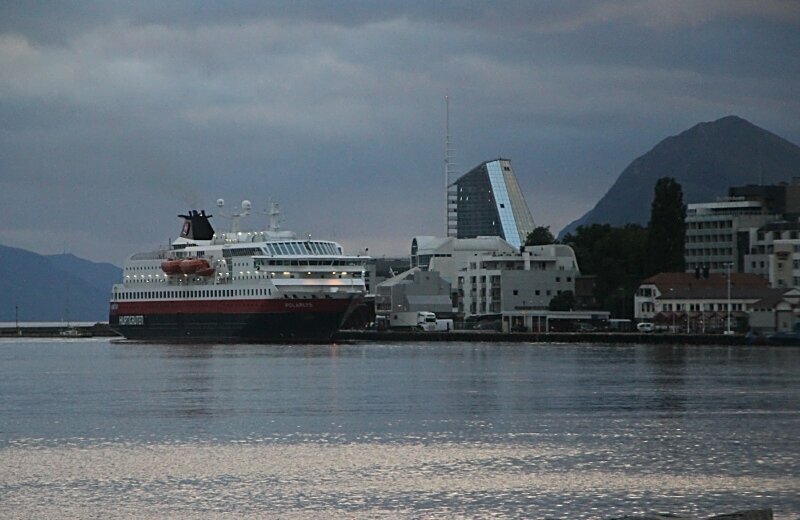 Scandic Alexandra Molde hotel, where we stayed, was right in front of the cruise pier, and from the balcony of my room I had a better look at the liner Hurtigruten Nordkapp. The hotel has a small and neat Alexanderpak. 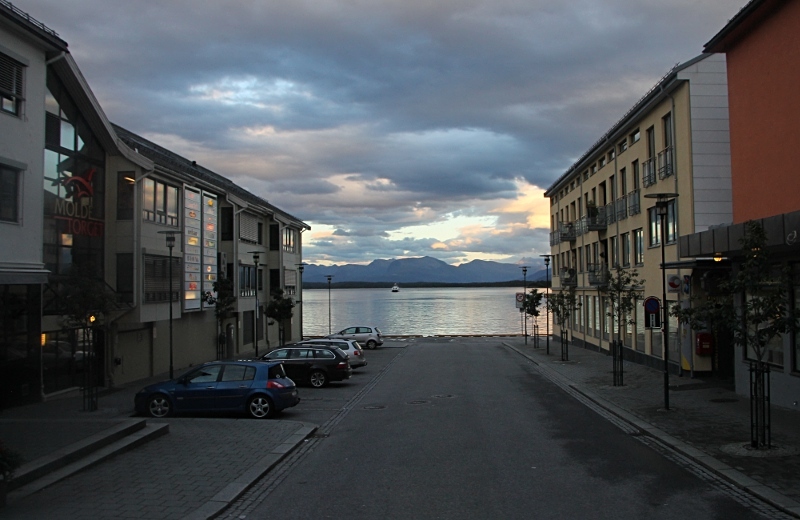 The hotel is located on Storgata street, which stretches along the central part of the city. And I went to the embankment, covered with wooden flooring. 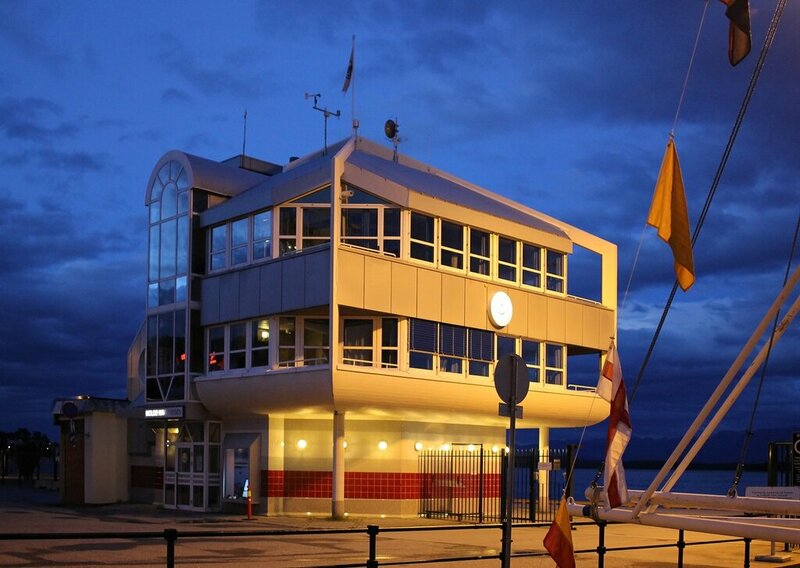 The promenade starts from the passenger port and is called Hamnegata. Along the promenade there are several hotels and shops. Here are moored pleasure boats. 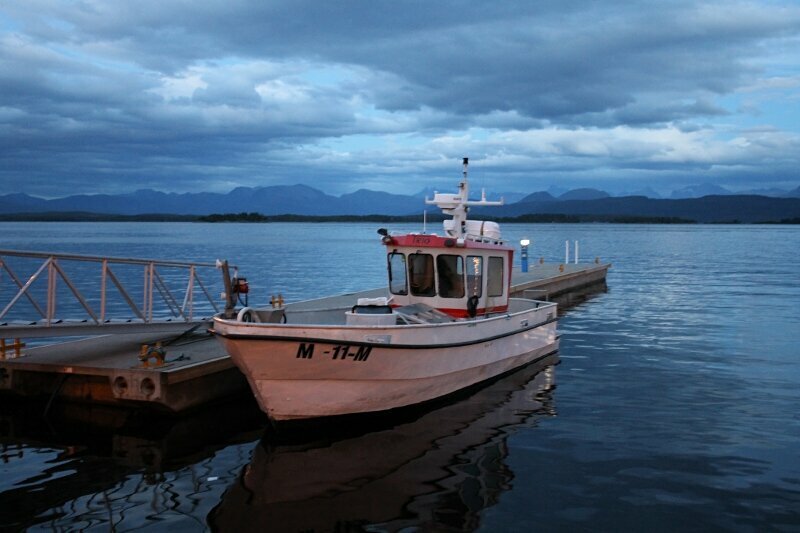 From the promenade offers one of the most beautiful panoramas of Norway, overlooking the Reinheimen montain ride. 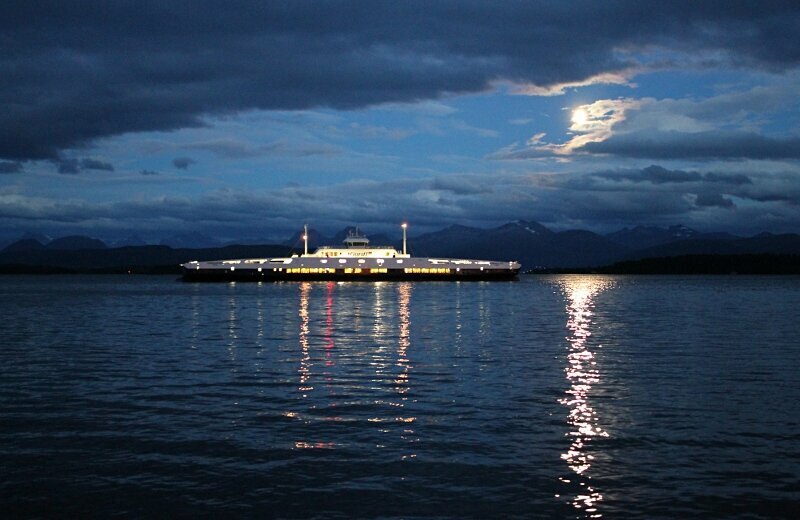 It is especially romantic in the moonlight. 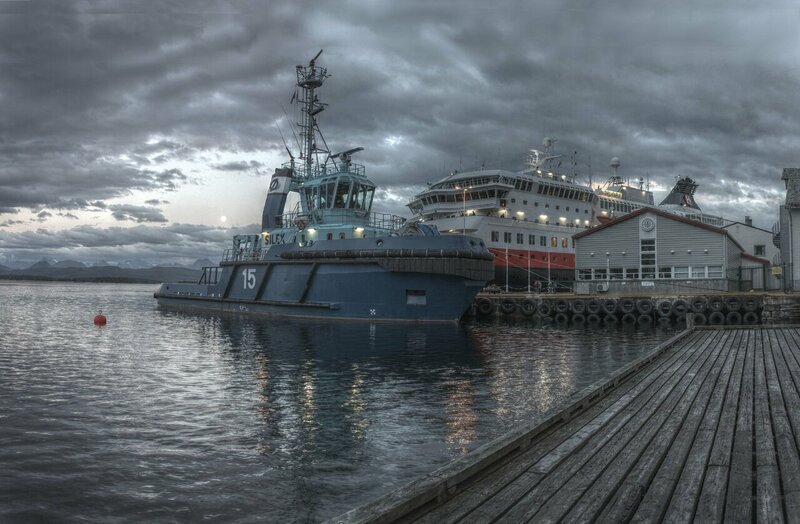 Returning to the hotel, I walked to the terminal Molde og Romsdal Havn IKS, which turned out to be a small building of futuristic architecture. 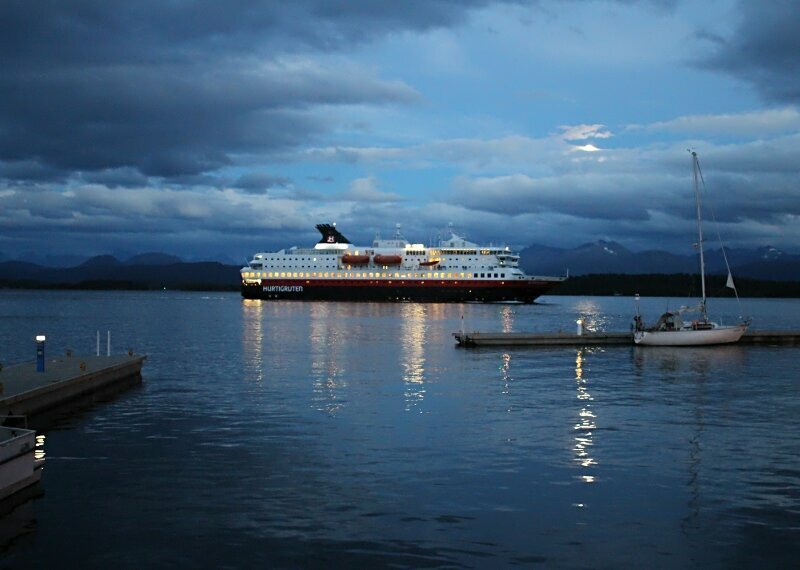 While I was walking along the waterfront, Nordkapp liner left the port of Molde, and turned around, was already going to the exit of the fjord. And behind him the moonlight path on the water crossed the evening ferry of Molde-Vestnes route. 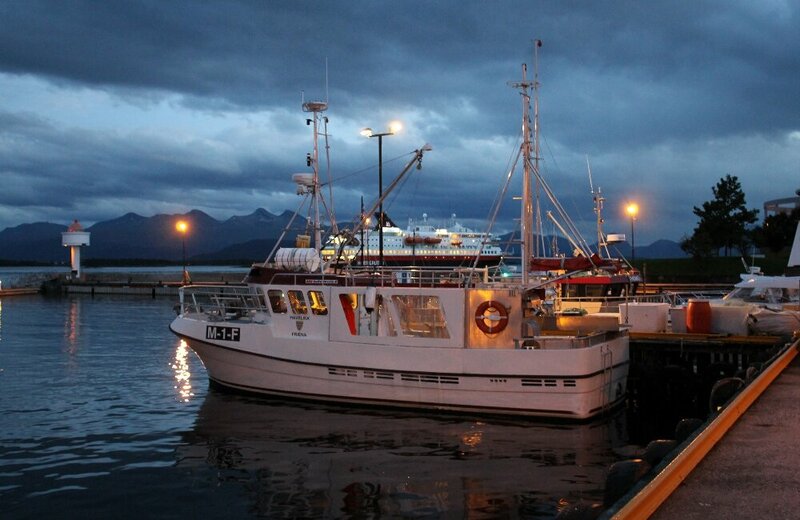 Behind the passenger terminal there is a small fishing harbour, where fishing vessels of various sizes are moored.